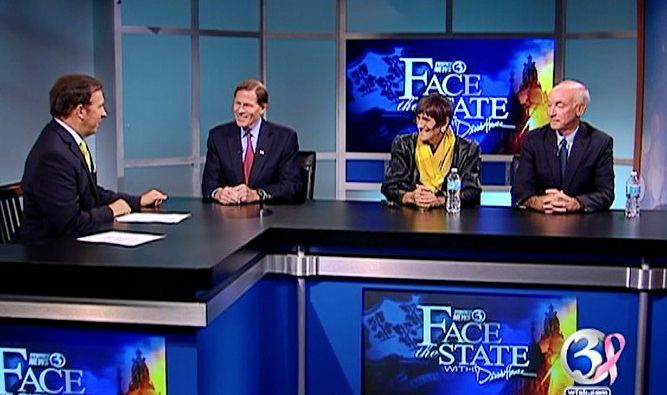 This week’s taping on Face the State featured a studio packed with politicos. It’s not often we have multiple members of the congressional delegation here, but with the shutdown over, the situation certainly warranted it. We are joined Sunday by our state’s senior senator, Richard Blumenthal, our senior member of congress Rosa DeLauro (CT-3,) and 2nd district congressman Joe Courtney. 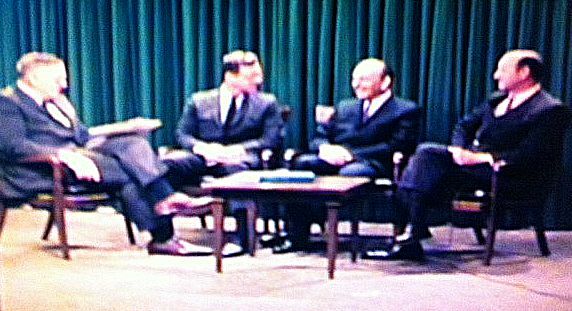 Having such a big group of Washington power brokers used to be a regular thing on our Sunday political show back in the 1960s. Here is Channel 3 anchor and moderator Tom Eaton with Congressmen Donald Irwin, William St. Onge, and John Monagan. That interview aired on October 21, 1967, 46 years ago this week. In the broadcast taped for this coming Sunday in this century, Blumenthal, DeLauro, and Courtney all talked about what is next now that the shutdown is over, and the latter two expressed their concerns about the leadership of House Speaker John Boehner. Do they blame him for the shutdown? Also, what is their take on what needs to be done with Obamacare, in light of the myriad of problems with the rollout? Plus, are they on the Hillary Clinton 2016 bandwagon some Democrats are already talking about? The answers to these questions and more, this Sunday at 11 on Face the State, only on WFSB Channel 3.